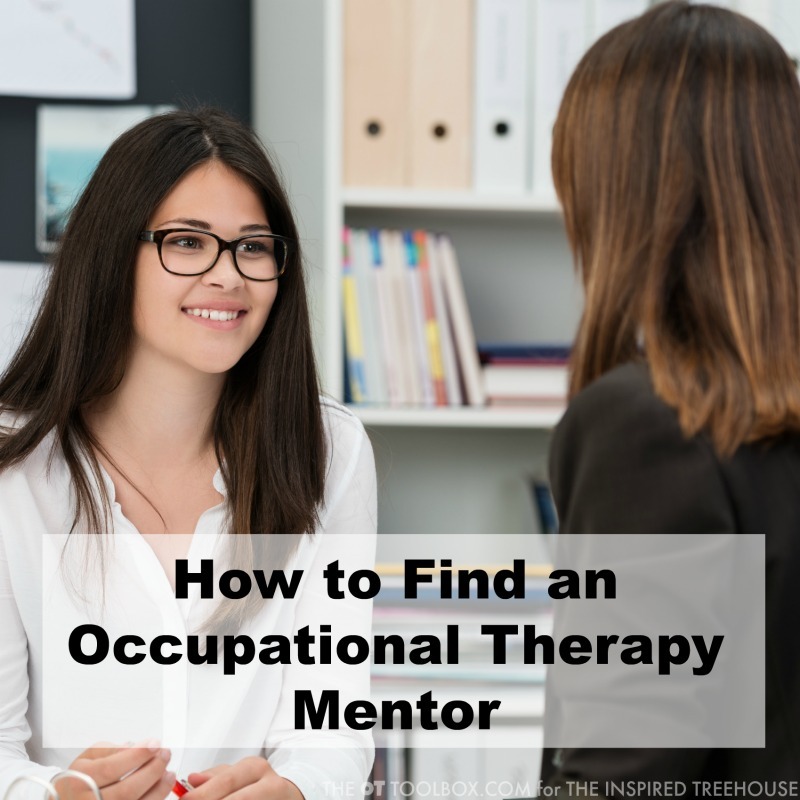 If you’re wondering how to find an Occupational Therapy Mentor, look no further! Today, we’re sharing lots of information about mentorship, along with an awesome online resource that can help therapists find a mentor. Many occupational therapists struggle with advancing their clinical expertise. One way to develop professionally is through a mentorship experience with another therapist. Traditionally, a mentor is the role a more experienced occupational therapist plays as they guide a less experienced therapist by modeling positive behaviors. A mentor is a role that promotes communication, advancement of professional interactions, time management skills, and many other aspects required in clinical practice. Mentorship is traditionally a shared experience between two people in a professional experience who are aiming to grow and develop as professionals. The relationship is one of knowledge and guidance and includes a caring and trusting role model. Mentors are dedicated individuals who are promoting and enhancing development of the profession through teaching and instructing while passing on clinical reasoning. Therapists who take on a mentor role are intentional and passing on experience in order to help others grow as therapist. A mentor is one who helps others achieve their professional goals. This generous gift of time and commitment to help others achieve success. There are so many positives to participating in a mentor relationship. These influences can impact both the mentee and the mentor as both develop professionally. In fact, a mentor who has advanced clinical skills and years of experience as an occupational therapist can even learn and develop from their mentee. A therapist who takes on a mentor role will develop such skills as leadership, time management, communication, and the ability to balance the job with teaching. A mentor’s ability to offer academic support can provide a positive experience for newer therapists or those new to a setting. As a result, these therapists are able to view their profession with motivation, clarity, and knowledge. How can a therapist find a mentor? In a recent survey of occupational therapists, less than 30% have a mentor in the profession. Those who do have a mentor have found them through various means including workplace collaborations, through OT associations, and other non-traditional manners such as connections with previous coworkers. A mentor collaboration can occur through clinicians who are at equal or close advanced levels. When challenges exist in time and feasibility of communicating with a mentor, consider using non-traditional strategies for communication. Connecting for discussion or question and answer sessions are an essential part of the mentor relationship. Communication between therapists can occur by blocking out time to connect. Communication can occur via email, phone calls, over lunch meetings, while on the job, or even via text messaging. All of the benefits of Occupational Therapy mentorship relationships help to promote and enhance the profession. This is part of the reason why The OT Toolbox Community was established. As an integral part of The OT Toolbox website, The OT Toolbox Community promotes clinicians as a valuable “tool” for clients. By connecting and collaborating with other therapists, it is possible to exponentially enhance and promote the profession. 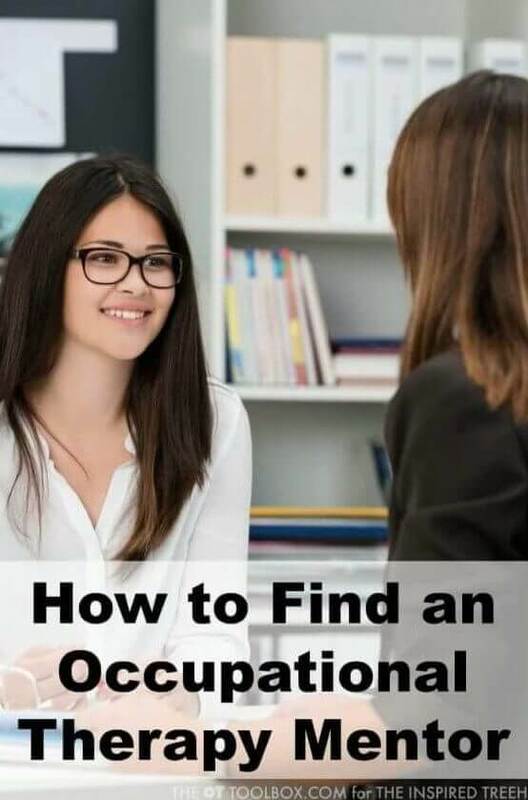 The OT Toolbox Community is a free resource for occupational therapy practitioners who struggle to find valuable resources in a timely and efficient manner. Seeking out and have answers to clinical questions can be a huge limit when it comes to time, energy, cost, and other issues. 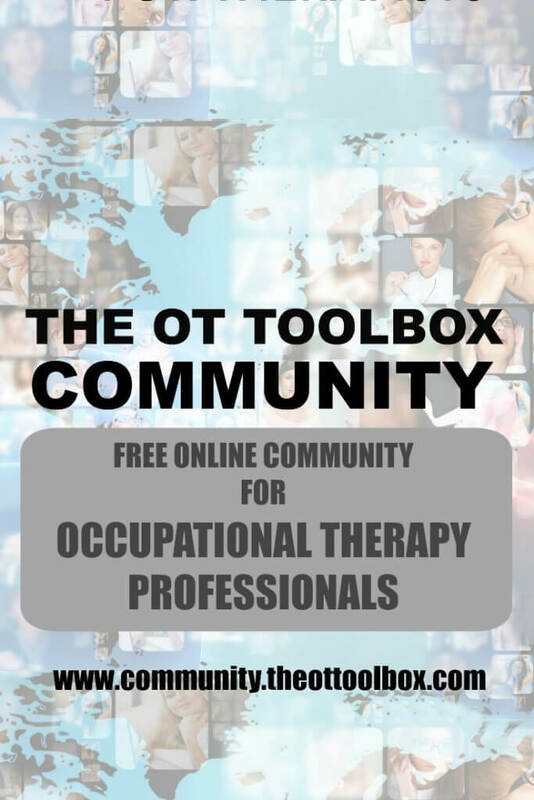 The OT Toolbox Community provides a resource for therapist to connect with one another and collaborate on clinical questions. OTs and OTAs have the opportunity to ask questions related to specific their needs. Therapists can draw on clinical expertise to respond and answer other clinician’s questions. Imagine if many therapists joined together in sharing years of clinical expertise and resources and put them into one tool kit. The OT Toolbox Community provides a one-stop location for navigating all of the information out there. It’s a place to access research. It’s a place to find best practice sources. It’s a place to promote collaborate, network, and mentor with one another as therapists. The OT Toolbox Community is looking for you. Join hundreds of other occupational therapy professionals who have joined the community and are sharing questions, answers, resources, and valuable sources of clinical information. -Members are able to upload links to valuable resources that they have located online. These can be shared with other members and searched for by category. Check out the Resource Center and add one of your own. -Members are able to ask questions and answer questions. These are sorted by category to enable search queries in order to locate best practice answers in a timely manner. Stop over to the Question Forum and see if there is one that you can answer given your clinical expertise. -Members can upload their own documents and files to share with other therapists. This is a huge asset for data collection screenings and other sources of information for therapists. -Members can list job opportunities in the Job Area. Have a position open in your facility? Reach out to our large community of occupational therapy professionals and fill your positions fast! -Have an activity that you love using in treatment sessions? Snap a picture with your phone and share it as a Blog Post. It doesn’t have to be a fancy blog post…just share your idea with the community members. -Members can enhance the profession by sharing practice strategies that work! -In The OT Toolbox Community, all links, resources, questions, comments, and blog posts can be shared anonymously if you like! -Members can network and collaborate to enhance OT careers while building lasting relationships with colleagues.